Will Boys Before Flowers be extended? KBS is in talks with production company Group Eight to extend the massively popular Boys Before Flowers by two installments, bringing the episode count to 26. I’m sure we could see this coming — KBS hasn’t seen a Monday-Tuesday hit in ages and is eager to hang onto this one. But some industry insiders think this is unlikely. Kdramas regularly extend their runs, but in this case, the (rather strict) contract with Hana Yori Dango creator Kamio Yoko was for 24 episodes. Contracts will have to be renegotiated with Kamio as well as cast and crew, so they are being careful not to jump the gun. I don’t mind an extension, actually, since it’s not last-minute and gives the writer — admittedly, meh — time to plan. I wish KBS would give the crew a week’s break to catch up with production, though, before everyone collapses from exhaustion. Usually hate extensions even for dramas i really like. But hearing its a possibility for BBF really gets me excited, I can't get enough of it! I can't wait to see where the 2nd half of the story goes. javabeans, i agree with you. i wish the cast and crew would get a one-week break. they totally deserve a good break, even if it is one week. furthermore, i read on allkpop that kim bum is reportedly in a cast due to his most recent car accident on feb 9th and that gu hye-sun is getting only 1-2 hours of sleep a day, plus all the previous accidents with the other cast members due to tight filming schedules should be big enough of a reason to give the cast and crew a well-deserved week-long break. From what I understand, Goo Hye Sun could sleep for at least a week straight and still be owed a couple of weeks more of rest. I don't what what's holding her up. I love the show, But I need my girl dying for the sake of a few billion won! Agreed. The whole crew & cast need some rest. Even if a week is skipped with no episodes shown (how painful), but I guess that never happens? I know it's a long shot to hope for that (much-needed) break, because momentum is everything... but I think the best compromise might be to pad out a week or two with filler material so they're airing SOMETHING. For instance, air a "special" (behind the scenes, interviews) on Monday, then one episode on Tuesday. Repeat the next week. Resume regular schedule after that. Linda, it's rare but there's been precedent. When Moon Geun-young fractured her nose during filming Painter of the Wind and needed a week off, they aired two specials during that week and resumed the next week. Oh, I hope they extend the show--but for like 100 episodes! Maybe they can extend the show into postgrad or professional years, and then we can finally see a kiss for geared towards adults. I am happy, though, to hear that HYD's creator holds contract and creative control over her characters! Oftentimes writers get cheated out of their deserved share of the pie. 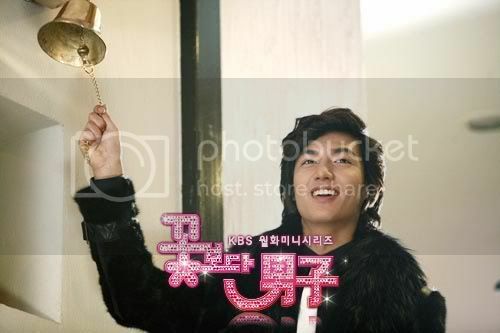 lolz... Javabeans, you picked the right pic for the article! It really matched with its content. As hooked as I am on the show, I wouldn't mind a week (or two!) without new eps at all. In fact, it would be a very good step for them to make that decision. Not only must the cast and crew be worn out, but the production quality is starting to suffer from the filming schedule. Episode 11 had atrocious writing and 12 had some sketchy editing problems. I'm torn, I want more BOF but extensions rarely do anything for the storyline. I agree with giving the cast and crew a MUCH needed break. I've read reports about the cast having to film scenes all through the night and have about 1 to 2 hours of sleep. I don't understand how production couldn't have started earlier that way episodes are filmed about 1-2 weeks before its aired. Here in the states doesn't production of shows usually start weeks ahead that way when a new season starts they have probably already filmed about 2-3 episodes. I wouldn't mind having 2 extra episodes since I am loving the cast (esp. Jun-pyo). But it would have to keep the flow of the story good and not feel like its being dragged on. I definitely hope they extend the series too, but I'm not sure how much could be done with only two episodes. Maybe another 12 would make more sense, at least on paper, but I guess it's all a matter of what the story calls for and if the original writer gives the green light and the creative freedom. Perhaps a spin-off of some kind after series 1 and 2 have taken the story as far and as deep as it can go? The "Grandpas Before Flowers" idea from the parodies taken to its logical extreme. Of course, at such an age, Jun-pyo is grumpier than ever, shouting about something insignificant while Jan-di tries to feed him, even though she's finally lost her mind. Madam Kang is still alive, but is now just a head floating in a jar which Jun-pyo is expected to carry around with him but doesn't. When she gives That Look, he just simply turns the jar around the other way as it fills with angry bubbles. Yi-Jung, of course, tries putting the smooth moves on all the nurses, while Ga-eul keeps complaining and hitting him to stop. Woo-bin still drops the occasional urban slang when he goes to ask for his medicine, but it sounds more like "Yo yo (cough cough) wa (ahem, cough) wass (sneeze!) wassup, Doctor... man?" And then there's Ji-hoo, who now has completely lost the ability to speak. He has long white hair and is now a wise old Rimpoche and a visionary whom all the other patients of the nuirsing home go to see as he keeps playing that same violin or guitar with his arthritic fingers, dressed in all white pyjamas. I agree with Javabeans. They should air a week of special episodes like behind the scenes and bloopers while the cast gets to rest. I can't believe how many accidents that they have had and poor Kim Bum! Okay, this might be a little spoilery (or I could be completely wrong), but from what I've read, it seems that a good portion of episodes 13 and 14 will be scenes that were shot overseas months ago in Macau ... which means that there will be a bit of a built-in buffer for at least the next week or two. The problem with a week-long break is like you said javabeans, momentum. BBF's ratings have been rising steadily since the premiere, and even a small break in momentum (like getting one new episode a week instead of two) could be disastrous. Painter of the Wind's ratings didn't suffer after its break, but then again it wasn't getting 30%+ in the ratings. I don't think that KBS would want to do anything that might jeopardize those high ratings. I would rather see a theaterical film release rather then a extention. why can't I ever see something like that when it comes to Korean dramas. yah, a movie sounds good but it better be good. I don't know about episode extensions 'cuz they might just mess it all up. And lol^-^ for the person who brought up "Grandpas Before Flowers". And the cast and crews of the show definitely deserve some break, heck I could use one. Speaking of BOF.....I wish it were Monday and Tuesday already. This is the only K-Drama I'm watching at the moment. Usually, I'm watching at least 2 series at one time but out of all the current ones going on right now this is the only that I am interested in. I tried to start watching East of Eden but...well....I was bored. I would just fast forward to scenes with Song Seung Hun just so I could look at his pretty face. usually extensions make me hate the ending of the drama. i dont really know why but it seems like they put in unnecessary things to make the plot seem, well, more extended and "full"
but hopefully,if there is one for boys before flowers, it wil make me satisfied. im so in love with this drama right now!!! We all agree so PDs and whomever is in control of scheduling do your thing. Please let our kids rest so that we can all enjoy the show guilt free. And like most I am excited about the "extension" but either way, the show is lovely and I hope that it continues on its uprise. More episodes? I have not gotten past episode 2. I'm torn about it though because I did have some hopes for it but I keep hearing that it has really silly moments and those get boring. But I keep seeing pictures of Min Ho as Joon Pyo and just get all giggly. Has anyone seen Yoona wearing a similar necklace as what JP has given JD? Whatever happened to “There’s only one like it in the world..."? #8: 100 episodes? haha. it sounds like a soap now. break? yes, definitely. don't need to be two episodes for one week, more like alternate. extensions? erm. hmm. i hope the original manga creator will consider this carefully, hopefully she'd give some feedback and additional stuff to push the story forward. as long it DOESN't DRAG, i am happy. javabeans: maybe someone should fracture something? haha. just kidding. don't throw stones at me. :P but i agree with u. they really need to work something out. Speaking of drama schedules - I personally wish Korean dramas would go to airing once a week format (like the primetime shows). Or at least have 80% of the drama finished filming and editing by the time the first episode airs. This schedule is hard for the crew, but more than that it can lead to rushed editing / bloopers that definitely Korean PD's have the ability to avoid. The kids really need a rest and the crews too. I agree with Javebeans, they can put in a behind the scene special so they can recharge. I would love an extension too but I also agree that it has to be relevant to the whole story and not just drag to get by. (wishful thinking - more of Ji Yung and Ga-eul story, I really would love to see more of them together and how their relationship develops - hopefully to a happy ending :) ... I just really love watching those two together). BBF PD are you reading our comments? ( I hope they are) - Those KIDS NEEDS REST. They should extend by 2 episodes. Episode 11 and 12 were rushed and storylines were left all over the place. Shoving the entire volume of BoF into 24 episodes is not a good idea. It'd be great to see more of BOF, I never get sick of it..
i was dying of laughter just picturing "Grandpa's Before Flowers"
i think it will be an awesome idea to have an extended version. Please don't drag this out. Honestly I'm not sure I can hold on to yet another angst season. Less episodes, more rest for these poor people. Beside, 24 episodes are fine. Hana Yori Dango did great with just 21 eps. Ahhh I love Boys before Flowers! I wouldn't mind if it does go to 1000 episodes lol! Relationships have been battered and bruised ... I'm sure that many men (and children?) have been neglected Monday and Tuesday nights, possibly Wednesday night ... and then all weekend as previews and spoilers are released. hmm...im on episode 8, it actually got boring! Yes! Jan-di and Ji-hoo forever! Like all the fans of this particular drama ( if you watched all the versions) , I really want to see a closure to the story. Not only on the central characters, Jandi and Gun Pyo, but also Ji-hoo, Ji Yung and Ga-eul, and Woo-bin. If they can do it in the Taiwanese and Japanese versions, I believe, they can also do it in the Korean version. (Though, in the two earlier versions they weren't really able to close the chapters, they just gave hints.) I never really liked the idea that Ji-hoo will be left on his own. He sacrificed a lot so the two, Jandi and Gun Pyo, can stay together. At the back of my mind, I can still see Lei and Rui (the knights in shining armor) losing their princesses. It's UNFAIR. I just don't want to see their sad eyes at the end. My heart bleeds for Ji-hoo, Rui and Lei. Give Ji-hoo a better partner than a noona who can't make up her mind. He doesn't deserve her. 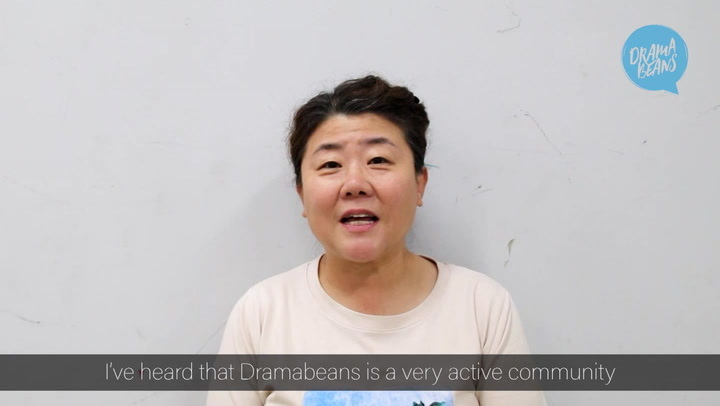 By the way Javabeans, love what you do for us non-Korean speaking Asians. Keep up the good work. I hope that they extend the series. I'm so addicted to BBF to the point where it has replaced Twilight in my heart. I would like to see what they would make jun pyo and jan di face if they extend the series. I usually don't like dramas that go over the 20 episode limit but i can handle this drama because its alot more fast past then other dramas that exceed over the 20 episode limit. Like the comment above me, i would also like to see the series have a good closure. I don't want to wonder what happened after the series ends. I'll never, i mean, NEVER, get tired of BOF. I love the manga, anime, Meteor Garden, Hana Yori Dango, BOF, all adaptiations of it! I just never get tired of the story. With that said, EXTENSION PLEASE! :) I like this blogspot., and oh Idk if anyone can wait more than 6 days for new episodes. And the break idea? All actors/actresses know that by signing a drama contract they're devoting and committing emselves to a beeeg thing. am I wrong? anyway I hope the people think it thru if they rlly need an extension or not. Only if they need it, they should- ><! they have many episodes and the ending for F4 will be nice to remember. seriously if they want to make the extension,please be something like this cause i think we dont really want to see another jae kyung appear right??? sorry for this tooo long comment,,,,,,bien ne!!!!!!!!! To be onest it will be to sad to have only 24 ep. I sugesst at least 50.